Stating the obvious change is at the heart of Lifestyle Prescriptions® Health Coaching and the transformations that happen with it. 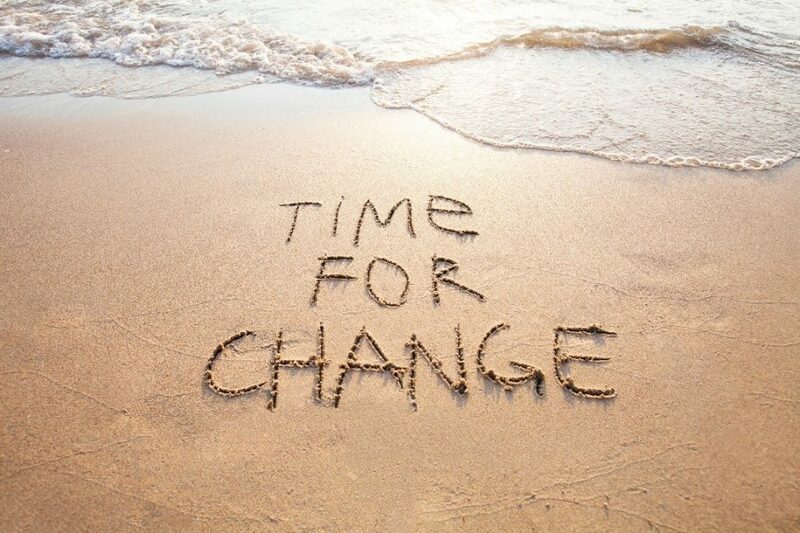 I’ve written this blog for you to ponder your own attitude to change and encourage you to make some if you wish. Just for fun I’ve suggested some songs about change too, as music can be an uplifting motivator connecting us to ourselves and others. When we listen to music dopamine is released. This has good side-effects enhancing our emotions, movement, perceptions and health. Music can have a huge impact on what we feel and think including our world view making change and music intrinsically linked. Change is a very individual thing. Some people undergo massive life changes such as changing gender, religion, multiple complex surgeries and so on, in order to create a happier or preferred lifestyle and version of themselves. I used to work with autistic teenagers and as a community of people change was generally hard for them to adapt to. Processing time, visual aids and social stories were embedded into the curriculum. Even something intended to be enjoyable like school Christmas lunch could cause anxiety and meltdown because it’s a change to routine. Then there is the other extreme; people who seem to have no difficulty making changes easily moving through life in a state of grace and flow happy and moving forward achieving things seemingly effortlessly. Do I generally find change easy or does it present me with challenge? Is it easier for me to make changes in some life areas and not others? Before committing to a change self-efficacy, resources, willingness and capabilities need to be considered and planned around. 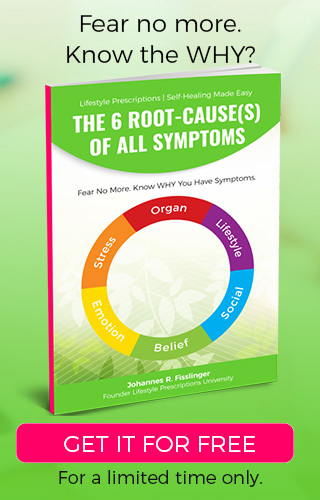 These considerations are taught as part of the Lifestyle Prescriptions® Boot-camp. After completing a boot-camp last autumn I highly recommend it for mindset support and camaraderie whilst making lifestyle changes. Completing the boot-camp helped get me disciplined and back on track after a few months of serious illness and feeling stuck. Read through my comments linked with each song listed below and as you do consider if anything resonates personally. The song lyrics or themes may not necessarily connect with my health-coach musings and are merely included to add further depth and exploration of change if you wish. I’m a music lover so hope you find listening to the tracks as much fun as I did. Dylan is known for writing protest songs. People often protest, “It’s not like the gold old days.” Common anecdotes may then be about manners and youth culture, trusting your neighbours, getting more for your money in the past and so on. This kind of thinking is limiting because it can stop us enjoying the present and of course we are living in the present. Appreciation and gratitude unlock so much for us. What things are better now than they were a generation or two ago? How has your life been enriched or become easier because of these changes? “We’re a thousand miles apart, but still I love you” is a feel-good lyric from this song. Let’s think about this from two angles. Firstly, they say absence makes the heart grow fonder, and, also often that long distant relationships frequently fail. Of course, there’s more individual factors at play than distance in miles or kilometres alone determining the relationship outcome. Secondly, if we consider the lyric more abstractly it could be that different thoughts, beliefs, attitudes and even cultures could make people feel a thousand miles apart. From the therapeutic work I have undertaken with clients I often feel they gain greater understanding and realise that they would behave in the absolute same way as others if they had been in their shoes. The Law of One states we are all connected, and this is backed up in science by quantum entanglement. It can be an eye opener for clients and feels magical once they truly get it! Relationships being such a central essential component of our lives are often implicated in health issues. If you feel that your relationships are having a negative impact on your wellbeing do book a consultation with a Lifestyle Prescriptions® Health Coach. Naturally, there are changes we would all like to see at a global level environmentally, culturally, politically. The easiest way to change is to change us, ourselves personally. This then changes others. The outside world reflects our inner world like a mirror with life being a filter of our inner most thoughts. Therefore, things are good or bad, right or wrong because we label them that way. After emotionally processing a challenging situation ask yourself did any good at all come from it? Loss for example, frequently leads to new opportunities, difficulties tend to lead to new skills and awareness, and heartache to strength, compassion and wisdom. Are you a serial procrastinator? Do you waste days on end, or put off important things indefinitely? Sometimes active planning (with a Lifestyle Prescriptions® Health Coach) and better time management is enough to remedy this. Other times procrastination can be an indicator of stress, anxiety or depression. Procrastination can also indicate perfectionism which can be unrealistic when taken to extremes. Procrastinators faced with deadlines have increased medical visits. Therefore, if you run these behavioural patterns it’s best to work with a coach asap. It would also be worth watching your feelings, thoughts and emotions and notice what you experience. Shame, guilt, powerlessness, lack of control, low self-esteem, sadness and other treatable reactions may be hidden underneath the procrastination. Change is possible. Ask about Lifestyle Prescriptions® Health Coaching. This song outlines the change in family dynamics as children grow and become independent of their parents. We are often more like our parents than we would maybe choose to admit. Aside from genetic hereditary the exciting emerging field of epigenetics reveals bio-psycho-genealogy. 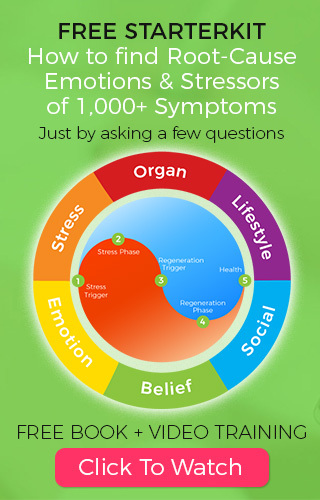 Environmental stressors cause bio-logical responses which create physical changes. It’s an exciting time because we are learning how to un-do these patterns with tools like Matrix Reimprinting and EAM®. The information transfers down the family tree, so, not only can previous generational trauma be stored in your energy but also any trauma and patterns you have can be passed down the family line too to future generations. Think carefully before that next alcoholic binge or cigarette! TIME magazine has some very interesting more detailed articles on this. Eminem is known for lyrics that cover darker subjects. Addiction and suicide are two themes in this track. With these two circumstances without doubt there will be an accompanying painful story. It’s becoming extremely well-documented that there is a high rate of male suicide especially. Nobody should suffer alone. Doctors and specialist long-term support is available and best. Following great adversity, pain and addiction life can be amazing again. Suicidal thoughts are not necessarily around wanting to die, but more about wanting to stop the present pains. Addictions are an attempt to fill a gap at soul level. It is said that out of our deepest pain can come our greatest gifts. There are other ways to be. What can you do to ensure you leave this earth with no regrets? If you’re in a state of inertia this song title in a great mantra. At Harvard University they discovered that when you make a dietary change you are convinced about you are more likely to be successful result wise. Belief is more important than the kind of change you make! Rather than ponder which diet to follow choose one and try it without over analysing and see what happens. Make modifications as you go. The most important part is take-action and starting. In Lifestyle Prescriptions© consistent 1% weekly micro-habit change is recommended for long-term results. David Bowie constantly changed and re-invented his music and physical appearance. It seemed he never got stale. In Lifestyle Prescriptions® we know that when it feels that life is going in the wrong direction or we feel like we are backing the wrong thing in life the adrenals let us know. People living these type of life experiences are more likely to experience fatigue and burnout. Once the conflict/s are resolved the energy and vitality begin to normalise again. A great place to start with Lifestyle Prescriptions® Health Coaching is health analysis with values exploration. When we live fully in line with our values our energy settles and we feel happier. If creativity of expression is one of your values and you work long hours in a routine job your adrenal glands may give you a clue. You need to nurture not suppress your creativity. Likewise, if one of your core values is honesty and your partner cheats on you then you are more likely to take the unwanted news extremely badly. This beautiful song is about hope for change. Hope can be motivational; with hope we have a chance, without hope we don’t. Many vouch for the link between hope, health, and happiness. Expectation and belief have an impact on the nervous system and just like with the placebo effect a hopeful outlook can make health improvement more likely. Did you ever meet a chronic unhopeful person who is happy? A great tool to assist us with changes around maintaining desires and expectations is affirmations. ‘I can and will change’ demonstrates assertion, commitment and certainty. It’s uplifting, empowering and inspires self-motivation. It’s certainly better self-talk than, “I’ll never be able to do a, b, or c” which instantly indicates we have given up! In life change is inevitable. We are young. We age. We die. Change offers chance for growth and expansion; an opportunity to learn, gain wisdom, fresh insights and perceptions. Often though, it is human nature to be creatures of habit and resist change, even though we say we want it. However, if we sabotage ourselves by not taking any action to change our thoughts, habits and behaviours and we procrastinate we may later feel guilty, frustrated or angry with ourselves. We may later say to ourselves… “If only I did x, y, z…. then my life would be better now.” Do you want to be that person? What positive change/s are you inspired to make after reading this blog? Write your Lifestyle Prescription© down, put it in a visible place you see regularly and take-action now. Good luck! 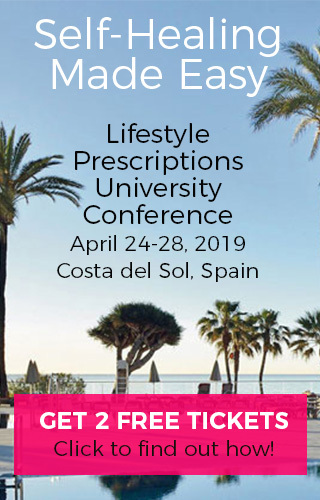 To learn more about Lifestyle Prescriptions® and bootcamp book a call to discover your next steps to fast-track back to wellness, benefit from Lifestyle Medicine based solutions and thrive again. 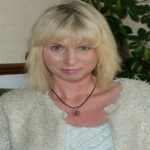 Jo Trewartha www.freeyourmindsolutions.com is a Lifestyle Prescriptions® Health Coach and Trainer. Furthermore, she delivers the Expert Patient Self-Management Programme in her local community. She is passionate about wellbeing and believes that everyone can do something to feel better.